The Museum Archive Center is an excellent resource for both seasoned and inexperienced researchers. The archives has an extensive collection of over 12,000 historical and vintage photographs often used in history books across the US, from titles such as Witness to Roswell by Don Schmitt and Tom Carey to Tall Tales and Half Truths of Billy the Kidby John LeMay. The archives also boasts an extensive collection of historical documents and articles, a good example being the writings and letters dictated by Ash Upson, author of the 1882 best-seller The Authentic Life of Billy the Kid,and Roswell newspaperman Lucius Dills to name only a few. In addition to these resources in the Elvis E. Fleming Research room can also be found an extensive Southwestern History library full of rare and out of print books (such as George Coe's Frontier Fighter), a near complete collection of magazines such as True West and Frontier Times, and vintage newspaper clippings on famous subjects as Billy the Kid, Brushy Bill Roberts, Pat Garrett, New Mexico Military Institute, and even the Roswell UFO crash of 1947. Whether you are an author looking to research an upcoming work, a student researching a paper or project, or even just a curious Roswellite looking to learn more about your history please make an appointment to come and visit the Archives of the Historical Society for Southeastern New Mexico. 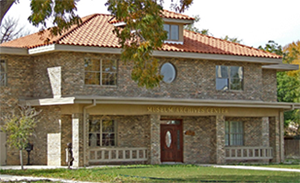 The Museum Archive Center grand room is available for rental and makes a wonderful conference room for special m eetings or a wonderful location for receptions, showers, holiday parties. Please contact the museum office at 575-622-8333 for more information.